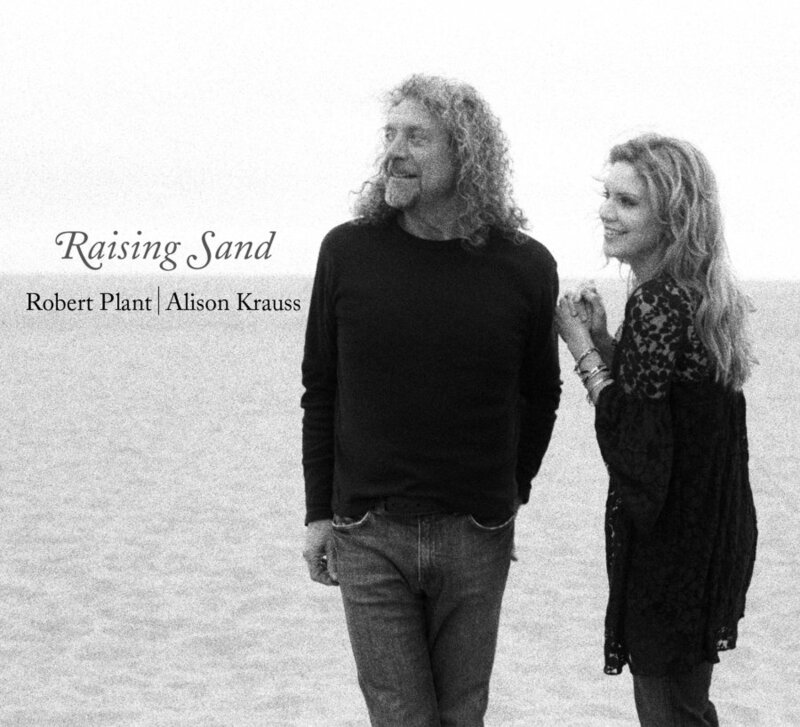 Raising Sand is a collaboration album by rock singer Robert Plant and bluegrass-country singer Alison Krauss. It was released on October 23, 2007 by Rounder Records. Raising Sand won Album of the Year at the 2009 Grammy Awards. The two songs written by Gene Clarkâ€”"Polly (Come Home)" and "Through the Morning, Through the Night"â€”were originally recorded by Dillard & Clark for their 1969 album, Through the Morning Through the Night. "Rich Woman" was first recorded by McKinley Millet (as L'il Millet) and his Creoles in 1955, for Specialty Records. "Please Read the Letter" was first recorded for the Page and Plant album, Walking into Clarksdale, in 1998. "Gone, Gone, Gone" was originally recorded by the Everly Brothers for Warner Music in 1964. They also recorded "Stick With me Baby" in 1960, for A Date with The Everly Brothers. "Trampled Rose" was originally written and recorded by Tom Waits, and was featured on Real Gone in 2004. Apart from the influence of Plant and Krauss' vocal styles and talent, the album's producer, T-Bone Burnett is credited with giving the album its skeletal musical style. The album was met with critical acclaim, earning an averaged score of 87 from compiled reviews on Metacritic., Metacritic This album was #24 on Rolling Stone's list of the Top 50 Albums of 2007.. Rolling Stone. December 17, 2007. Retrieved December 20, 2007. Raising Sand received positive reviews from contemporary music critics. Being There called it "one of the yearâ€™s very best",Miller, Adam D. . Being There. Retrieved March 8, 2008. and Allmusic called it "one of the most effortless-sounding pairings in modern popular music", but stated that some of the songs "(felt) like (they were) tossed off".Jurek, Thom. . Allmusic. Retrieved March 8, 2008. JamBase called the album "subtle, focused and full of life" and said that it was "highly recommended".Cook, Dennis. . JamBase. November 12, 2007. Retrieved March 8, 2008. Village Voice commented on the album, saying it was "powerfully evocative" and "utterly foreign, oddly familiar, and deeply gratifying". ..Cavaleiri, Nate. . Village Voice. October 16, 2007. Retrieved March 8, 2008. The compilation of songs on Raising Sand were hand-picked by the producer, T-Bone Burnett. Entertainment Weekly described the cover songs that make up the album as "eclectic",. Entertainment Weekly. October 26, 2008. Retrieved March 8, 2008. and Village Voice said that "T-Bone Burnett flaunts his typical curatorial genius with a whole set of 'have we met before?' tunes". The instrumental quality of the album was also praised; BBC described Krauss's fiddle as "coruscating" and "raw",. BBC. October 29, 2007. Retrieved March 8, 2008. and Music Box said that Krauss "exceeds all expectations".. Music Box. October 23, 2007. Retrieved March 8, 2008. The guest instrumentalists were also praised, with BBC saying that the guests "make this a stunning, dark, brooding collection, comparable in tone to Daniel Lanois' masterful job on Dylan's Time Out Of Mind." Critics praised Krauss and Plant's vocal harmonization, with one critic saying that the "key to the magic is the delicious harmony vocals of the unlikely duo.". Billboard. Retrieved March 8, 2008. Various music critics described Alison Krauss's vocals as being "spellbinding", "honey-sweet", "weepy", "saccharine", and "haunting".. Blender Magazine. October 23, 2007. Retrieved March 8, 2008. On the other hand, Robert Plant's sometimes "wailing" vocals were described as "orgasmic", and "slithering", in regard to his lead roles. "Gone, Gone, Gone (Done Moved On)" was released as a single and won the Best Pop Collaboration with Vocals at the 50th Grammy Awards. The song "Killing the Blues" was #51 on Rolling Stone's list of the 100 Best Songs of 2007. Rolling Stone. December 11, 2007. Retrieved December 21, 2007. On February 8, 2009, the album won all five awards for which it was nominated at the 51st Grammy Awards: Album of the Year; Best Contemporary Folk/Americana Album; Record of the Year (for "Please Read the Letter"); Best Pop Collaboration with Vocals (for "Rich Woman"); and Best Country Collaboration with Vocals (for "Killing the Blues").http Raising Sand was the second of three country albums to win Album of the Year, after Dixie Chicks's Taking the Long Way and followed by Taylor Swift's Fearless. The album was nominated for the 2008 Mercury Prize in the UK. The album debuted at number two on the Billboard 200, selling about 112,000 copies in its first week, the highest chart position for either artists' solo work (Plant, however, had previously reached #1 several times with Led Zeppelin).Hasty, Katie. , Billboard. October 31, 2007. Retrieved March 27, 2008. Raising Sand was certified platinum by the RIAA on March 4, 2008.. RIAA. Retrieved March 27, 2008.. Country Standard Time. March 20, 2008. Retrieved March 27, 2008. After the album's success at the 2009 Grammy Awards, the album topped the Billboard Top Rock Albums chart and Top Internet Albums chart for the first time on the week of February 28, 2009. The album also hit the top of Canadian Top Country Albums, and also peaked at #2 in Billboard Top Country Albums, being stuck behind part of 35 weeks non-consecutive chart topping Fearless by Country singer Taylor Swift. The album entered the Top 5 on the UK Albums Chart, going on to reach #2 in January 2008. According to Ken Irwin of Rounder Records, and producer Burnett, the duo started work on a second album in 2009. In a 2010 interview, Plant indicated that the follow-up sessions were unsuccessful.